Since launching 2012 with the aim of diversifying the STEM industry, we have been recognised by a number of organisations below. This reflects the hard work and commitment of each of the YFYA stakeholders, volunteers and chaperones. Thank you to everyone involved! 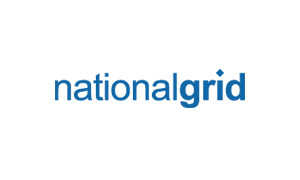 National Grid have been a keen supporter of the YFYA iniatitive since its inception and in 2017 published an internal article highlighting the commitment to inspiring the next generation of diverse engineers. 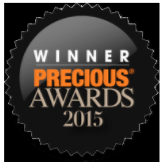 YFYA received the Precious Award for Social Enterprise of the Year award in 2015. The PRECIOUS Awards are passionate about recognising success celebrating those women of colour in business and leadership, who demonstrate exceptional determination, innovation and entrepreneurial skills and talent. “In 2012 Rashada co-founded (with Tunji Akintokun) formed Your Future, Your Ambition (YFYA) a social enterprise inspiring the next generation of diverse talent into Science, Technology, Engineering and Maths (STEM) fields by showcasing diverse professionals already in STEM via a series of exhibitions, panel events and mentoring schemes. In the last four years YFYA has engaged over 2000 young people (aged 7 – 23), introduced the students to “real role models” which include inspiring engineers and scientists. The young people that engage with the YFYA ambassadors have provided an overall satisfaction rating of 4.5/5.0 and 90% of the students stated after attending YFYA they would consider applying for a job in STEM. The success of YFYA has been recognised by the Business in the Community initiative, Race for Opportunity for its efforts to improve and enhance the employability skills of young BAME people”. 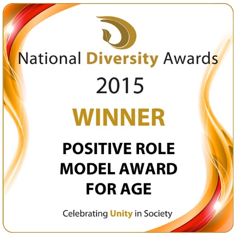 The National Diversity Awards honours the outstanding achievements of positive roles models, entrepreneurs and community organisations for excellence regardless of race, faith, religion, gender, identity, sexual orientation, age, disability and culture. The WATC Rising Star awards showcase the UK pipeline of female talent below management and create 50 role models across 10 different industries and professions. 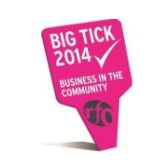 A BITC ‘Big Tick’ is awarded to organisations who have demonstrated significant achievement in tackling key social or environmental issues. The Black British Business Awards recognises, rewards and celebrates exceptional performance and outstanding achievements of black people in businesses operating in Great Britain. “The initiative is the latest London-wide project enlisting…the support of at least 20 main corporate organisations to help shape the hearts and minds of society’s future leaders”. A woman from Thornton Heath has been nominated for a Black British Business Award in the Science, Technology, Engineering and Mathematics category, for her work on diversity.